(Natural News) A study published in the African Journal of Traditional, Complementary and Alternative Medicines revealed that taking neem oil may help mitigate the risk of suffering from sleeping sickness. A team of researchers at the Kenyatta University in Nairobi, Kenya, conducted a series of in vitro and in vivo assays to determine the beneficial effects of neem oil on sleeping sickness models. Data from the in vitro trial revealed that neem stem bark extracts showed utmost efficacy in mitigating three strains of the parasitic protozoan Trypanosoma. During the in vivo trials, the researchers examined 35 mice models that were randomly divided into seven groups. 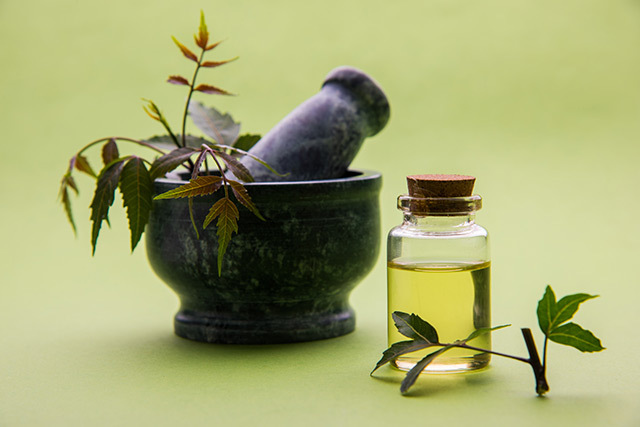 Three of the groups received varying amounts of neem oil extracts, while two others received either suramin or melarsoprol. One group served as the control population, the researchers stated. The results revealed that the treatment groups exhibited a delay in the commencement of parasite appearance. More specifically, animal models that received up to 400 milligrams of neem extract per kilogram of weight were able to maintain significantly low levels of parasitemia throughout the trial. “No animal mortality was observed during the 14 days of experimentation. There were no visible signs of acute toxicity among the animals treated with the extract at the doses used in the study,” the researchers reported. “The current study established that the methanol extract of A. indica stem bark possess both in vitro and in vivo antitrypanosomal activity against T. brucei rhodesiense. Isolation and characterization of constituents of the extract, which is currently on-going research, could yield a potential antitrypanosomal lead compound,” the researchers concluded. Pentamidine – Pentamidine is a first line remedy for sleeping sickness. However, the WHO confirmed that the medication may spur non-negligible effects. Suramin – According to the WHO article, taking suramin may result in serious side effects such as severe allergic reactions and urinary tract conditions. Melarsoprol – The WHO revealed that the drug was derived from arsenic. Likewise, the health agency noted that the medication may induce adverse effects such as reactive encephalopathy or encephalopathic syndrome, which was found to have a fatality rate of up to 10 percent. Eflornithine – The entry cautioned that while eflornithine might be less toxic than melarsoprol, the treatment was highly complex and difficult to apply. Nifurtimox – The health organization warned that the drug was neither studied nor tested for other forms of sleeping sickness. Death usually occurs within several weeks to months if the disease was left untreated. People who experience symptoms of sleeping sickness were advised to consult a health care provider for proper diagnosis. Visit Outbreak.news and be on the lookout for the latest in infectious diseases and epidemics.